A delegation of 8 faculty and one graduate student represented the University of California, Los Angeles’ (UCLA) science and engineering research during the Joint Research Institute in Science and Engineering (JRI) by Peking University (PKU) and UCLA. 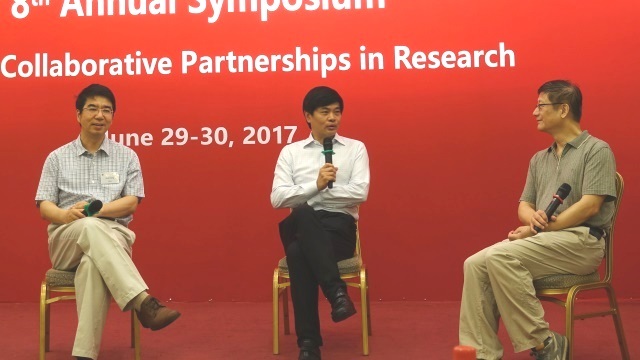 The Annual Symposium, held June 29-30, 2017 on the PKU campus. 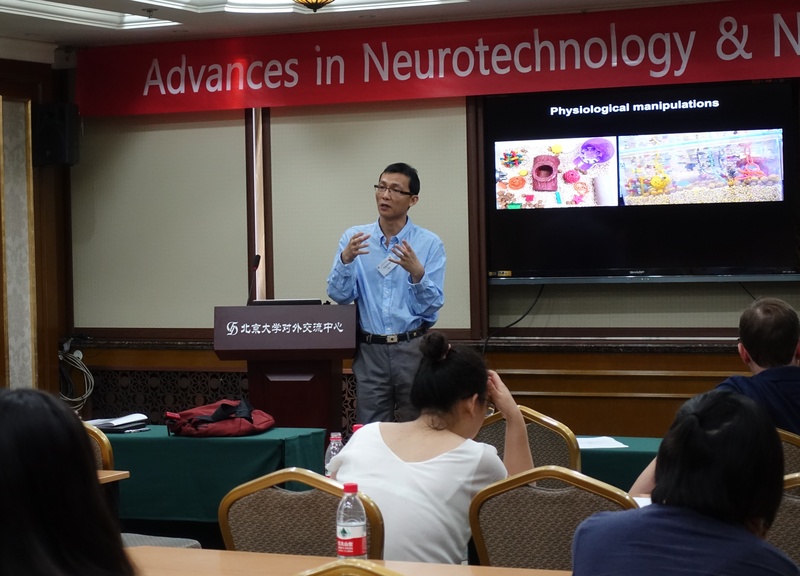 Over 90 participants attended this eight annual symposium which alternates between PKU and UCLA campuses. During the opening remarks, JRI Co-Director and PKU Professor Xiaoming Li reflected on the eight years of partnership. An update of the JRI programs was provided by JRI Co-Director and UCLA Professor Jason Cong including highlights from JRI’s research, publications and student programs. Professor Cong mentioned JRI faculty from UCLA and PKU published 17 joint papers in 2016 and that this year 15 UCLA students were joining the Summer Research Program at PKU. Long time JRI supporter and advisory board member and Managing Director at GSR Ventures Management Co. Ltd, Mr. James Ding then participated in a Fireside chat with the co-directors. 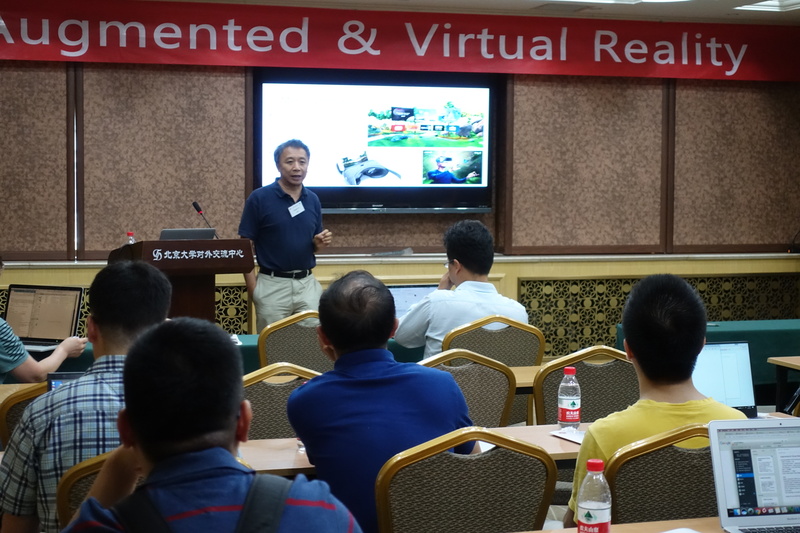 Mr. Ding shared about his work in China, areas for potential partnership with academia and the future of Augmented Reality. Mr. Ding was also recognized for his generous gift creating the “James Ding Centennial Scholars Fund for Summer Research in China.” This gift funds two UCLA students to conduct research and study Chinese language and culture at PKU every summer. The audience was then engaged by keynote presentations from prominent faculty from both campuses: Heping Peace Cheng, Institute of Molecular Medicine, PKU; and Wei Wang, Department of Computer Science, UCLA. The afternoon included four breakout sessions where faculty from both schools presented their latest research and engaged in discussions on ways to collaborate together to advance their research. Topics included the Advances in Neurotechnology and Neurodegeneration; Environment and Air Pollution; Augmented and Virtual Reality; and Big Data. The day after the symposium, an Image Processing working group meeting was held that included researchers who received funding from the National Science Foundation of China. Both faculty and student researchers presented their work. Later, a group of UCLA and PKU faculty met to discuss potential ways to apply for joint funding from the U.S. and Chinese governments. A representative from PKU’s sponsored research office also came to discuss Chinese funding opportunities. For the full program of the symposium, please visit http://pku-jri.ucla.edu/jri/events/12647. JRI was founded in 2009 with the intention of fostering new and existing collaborations between UCLA and Peking University. Under the co-direction of Xiaoming Li (PKU) and Jason Cong (UCLA), JRI trains future science and engineering leaders with a global perspective, secures joint funding, and facilitates technology transfer of research results. JRI aims to serve both institutions as they jointly confront global concerns in science and engineering.